I've been naive about lawyers, but I'm learning fast. There's a technique they learn somewhere that I think of as messing you up every way they can think of until you give up and give them what they want, and it's usually money. It's legal blackmail. They can do it to anyone at anytime. I'm reading about cases that have come before the judge in our continuing case. It's just amazing to me what lawyers think they can get away with. I'm going to open the door to a lot of this and shine some light in there. What you'll see will blow you away if you haven't been paying attention. Here's an example, the case of New York rabbi Mordechai Tendler, "who brought proceedings first in Ohio and then in California to try to identify several anonymous bloggers who commented on charges that he abused his position of relgious authority to get sexual contact with women who had come to him for counseling." It's a fascinating case, and since it was about blogging, there's lots of interesting stuff on the web. All this upsets my mother, who reads this blog. She's worried that I'll get hurt. I remind her that she's the one who made a huge issue of buses idling in New York, and she's won every battle she's taken on. A citizen on a mission can make a difference, I keep reminding her, but I know she knows -- she taught me that. When Travelocity ripped me off, I wrote it up here, and it was off my plate for a month or so when I was contacted by a marketing exec there, offering to give me my money back. I said no way, that's a bribe. And while my story remained in the first page of search results for Travelocity, every potential customer was forewarned, this is a company that doesn't take their customers very seriously. Critics ask if blogging is a field of banality but arming citizens against big corporations is becoming an important part of our economy, and it's for the good. Today, when I tell a company that's taking unfair advantage that I have a blog, nothing happens. In a few years I don't think it'll be like that. People may think we can't reform the legal system, and make lawyers accountable. But they haven't found out yet what a blogger can accomplish, simply by making sure the process is visible. I certainly won't be the first, just doing my part to help make things work better, and more fairly. Joshua Brauer: Ignorance is not a defense. Om Malik: Google launches 800GOOG411. Dave Sifry says Technorati is looking for a new CEO. Steve Rubel thinks Twitter will be sold soon. I'm at a UserLand board meeting in downtown San Francisco. I think it's going really well. Late last night I ran a picture of the cover of next month's Wired celebrating ten years of blogging. "Many of you were interviewed for this issue," I purported. I thought everyone would get it, but no one got it, until I fessed up that it was a joke, a hoax. Happy April Fools. Belatedly. Also, when I said it's not the cover of Rolling Stone, I didn't mean to put down Wired, I was just quoting a wonderful song from the 70s by Dr Hook called The Cover of Rolling Stone. Back then, the equivalent of a blog star was a rock star, and the highest honor one could aspire to was the cover of the most famous rock magazine, Rolling Stone. It worked, btw, Dr Hook got on the cover of Rolling Stone, presumably because of the song! Maybe my little joke will get me on the cover of Wired? Heh. And yes, I got the idea from Betsy's site -- where she had her famous husband, the Nobel Laureate, on the cover of Wired. I thought to myself, Hmmm, that looks interesting. And the poem just came to me in a fit of rhyming creativity. Love you Betsy! Say hi to Frank. Leo LaPorte: "I've asked Ev to delete my Twitter account. I'm concerned about confusion with TWiT." Screen shot. 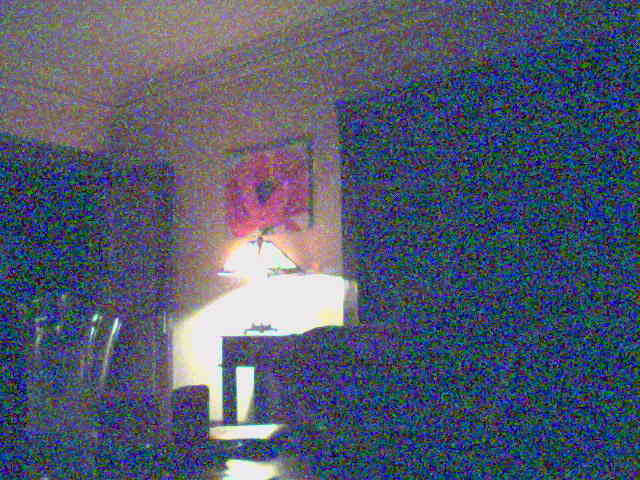 Last update: Friday, April 06, 2007 at 9:15 PM Pacific.